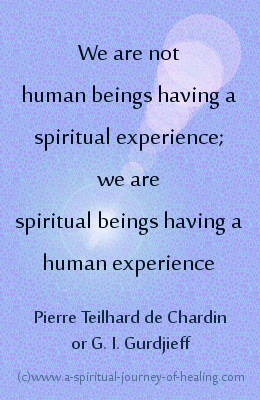 Prevalent amongst spiritual beliefs is the belief that we are spiritual beings rather than physical beings. This is a non dual belief. ‘Non dual’ is a widely accepted term to explain that ultimately there are not two realities – the spiritual and the physical– but rather the spiritual reality is the only true reality. The body is an illusion. Since we experience ourselves as a body, we must act responsibly according to our belief in the body, for example we feed it and take care of it. Yet we use our spiritual practice to shift our awareness increasingly to our spiritual identity in God. Christianity often holds the spiritual belief that this physical world is a real world into which God has entered in a very physical way in the person of Jesus. Non dual Christians use a slightly different language. We are asked, like Jesus, to hold a vision of God’s peace and love even when our senses give us reason for hopelessness. By doing so we help to move this world in the direction of a world in which God’s will is done. In the words of the Our Father prayer: “on earth [becomes] as it is heaven”. In the Bible, God says “Their righteousness is of me”. The righteousness you have in God is your spiritual identity. "Christ in you" is your spiritual identity. The Bible refers to your “inner man” - part of you that is saved in the knowledge of its right standing with God. Your inner man is your true self, known by and knowing God. “We are seated in heavenly places in Christ Jesus”. Note the use of the present tense in this Bible verese. We will not be seated in heavenly places some time in the future. We are seated in heavenly places right now. The spiritual beliefs of a non dual thought system say that - no matter the beauty we find in our lives - when we live as though we are only physical beings, we are missing the bigger picture. 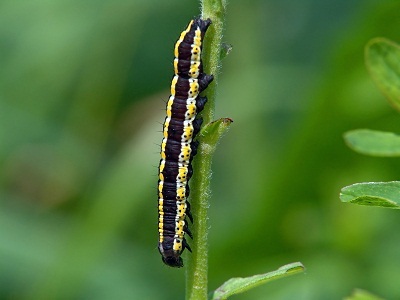 When we invest only in our physical life, it is as though we see the purpose of life as that of becoming a fatter, more beautiful caterpillar. Instead we are destined to be transformed and become a butterfly. The non dual spiritual text, A Course In Miracles (ACIM), goes further. It uses the language that we are already the butterfly. Our job is to accept that we are spiritual beings and to practice seeing all the people in our lives as spiritual beings. We do this through spiritual practices such as forgiveness, and blessing. Our purpose is to practice spiritual beliefs and engage in spiritual practices that allow us to remember, to awaken, to claim our spiritual identity. I suggest that at this time the most common belief about the nature of reality is that we are a body and the world we see with our eyes is the REAL world. Based on this assumption, we use machines that we have made within this ‘real’ world to determine what is real. We thereby constantly reinforce our perception that this world is real. Spirituality is viewed by many as either irrelevant or indicative of a secondary reality. The belief: “There is no God” is held up as truth and fact, not as belief. Many of us have been surrounded by this belief system, and over time, it becomes harder to be open to spiritual beliefs. ...Beliefs that are commonly shared and practised and therefore extremely powerful. ...Beliefs that are so strong in us that we tend to filter out information that contradicts them. 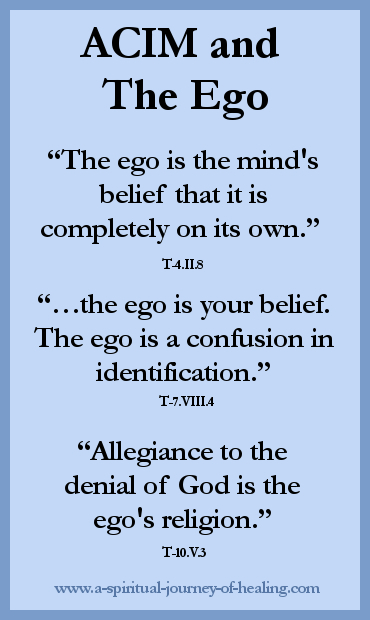 Even those of us who call ourselves religious or spiritual often live in accordance with the main belief of the ego or atheist religion. Namely, the belief that we are a body and a separate individual.